Tungsten Carbide is becoming one of the most popular materials for men's wedding rings. The metal is very strong, making it resistant to scratching and chipping. 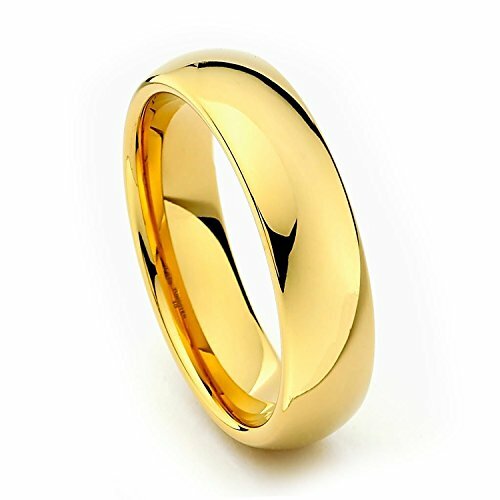 Tungsten rings are also hypoallergenic, so they are perfect for people with sensitive skin. This specific ring has a stunning 18 karat gold finish. This classic ring looks great on men and women of all ages. Tungsten is an incredibly durable and hypoallergenic metal.